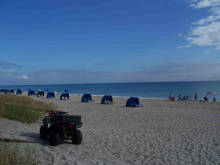 With more than 30 miles of sandy white beaches, Vero Beach is one Florida's hidden gems. As most people are aware, Florida is a state with a multitude of benefits for retirees, offering many tax breaks and other incentives. Located on the state's east coast, those who retire to Vero Beach enjoy beautiful beachfront living, and associated activities such as swimming, fishing, kayaking, and sunbathing. Very Beach has several unique neighborhoods to choose from. South Beach is popular for those looking for affluent living, higher average home costs than other areas. Another neighborhood popular for retirees is the Winter Beach area, where homes are more affordable relative to some of the affluent areas. Click the tabs to the left to discover more about whats it's like to retire in Vero Beach! 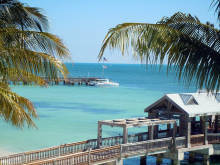 Match me with 3 top Vero Beach Realtors!